Lauren Hauk is a senior here at Howell High School. This is her third year on The Main Four, and she is excited to be the 2017-18 Head Editor-in-Chief. Lauren has two siblings, an older brother, Brendan, who attends Western Michigan University, and a younger sister, Jamie, who is also a student at HHS. She is currently a Feature Twirler at HHS and has been for two years. When she’s not twirling, Lauren works as a gymnastics coach at Bounce Gymnastics. She also enjoys listening to music, her favorite artists being Boston, Shawn Mendes and Khalid. 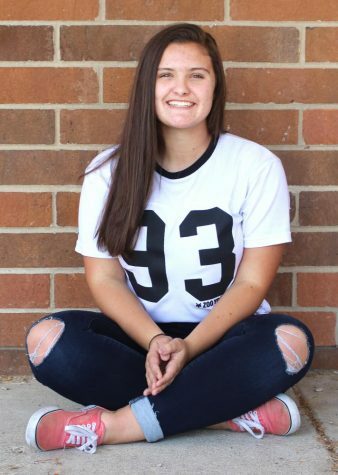 She hopes to attend either Indiana University or Grand Valley State University and study Communications or Journalism. Finally, she enjoys watching movies and binge watching tv shows on Netflix. Her favorite actor is Nick Robinson.